Welcome to Nix Images Photography! 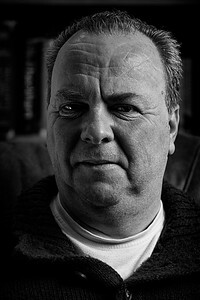 Hi, I'm Nick; a Food, Still Life and Landscape photographer based in Worthing, West Sussex; thanks for dropping by. My interest in photography began when I was around 9 years old. I had the opportunity to visit a local army barracks to learn how to compose and take a photograph with professional equipment. I was also fortunate enough to be able to take the resulting film into a dark room in order to be able to learn how to develop my own images and print my own photographs. Pure magic to a 9 year old boy! In more recent years my passion has become re-ignited. As a result; I have now successfully graduated with a Diploma in Professional Photography; and most recently I have completed a bespoke course in Food Photography. As a result, I can now also combine my passion for photography with my love of food! New images and galleries will be added regularly, so don't forget to pop back. Better still, why not click on the buttons below and follow me on Facebook, Instagram and Twitter? All images are available for purchase as either prints or canvasses. Prices start from just £8.00.